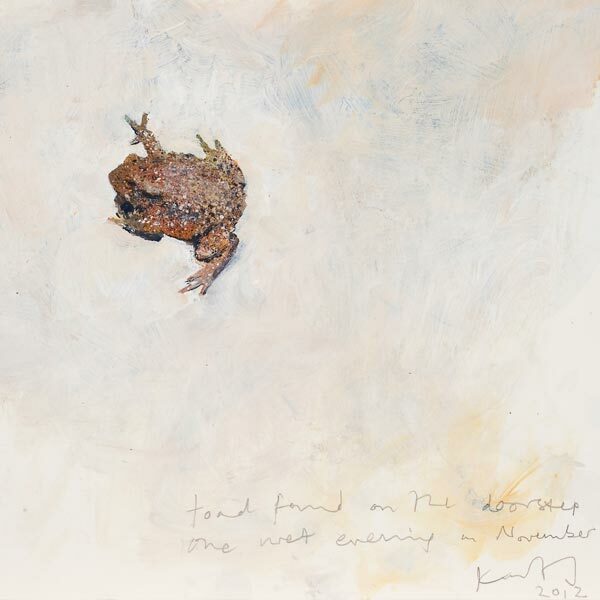 In the latest instalment of our 'Artist Spotlight' series ACS artist Kurt Jackson discusses his passion for the natural world and his recent exploration of the art of J.M.W. Turner. I have always had two passions running through my life – the natural world and making art, I came from a family of artists. I then studied Zoology at university and took this interest and understanding into my art; an awareness of the natural processes around me – the lives of the flora and fauna, their interactions, the ecology of our world excites and fascinates me. This fascination has been ‘politicised’ by those other concerns and issues, the more manmade events and dynamics affecting the environment – loss of biodiversity, habitat loss, species extinction, climate change etc. However, this whole process of change – both the ‘natural’ and the manmade; how places evolve to gain their particular identity and how we fit into this, culturally and historically with our own attachment, needs and desires, inspires me to make work. Aligned with this there is the whole joy and the challenges involved with the actual making of a piece of work – the immersion in the materials; colour, form, composition keeps one buzzing. It is the concept combined with the making whilst experiencing this rich exciting world all around us that inspires me. At any one time I am working on a number of overlapping projects, different bodies of work destined for different exhibitions; some have a pre-determined venue, some just go into storage until somewhere asks for a show. Recently Exeter University offered me access to their huge collection of Turner engravings to see if I would make work in response. I selected a dozen pieces that were located in the southwest and decided to visit each location in turn. I wanted to try and pinpoint Turner’s exact viewpoint and then make my own work about his choice, his artistic licence and the change that has occurred since to that location. Turner was making commercial, affordable engravings for a thriving and growing tourist market that was responding to the Napoleonic wars and the first ‘staycation’ – he was a shrewd, commercially minded artist. Many of these places are still tourist hotspots but others have been forgotten by the visitor; now quiet backwaters or have become urban and uninteresting as a destination. I am fascinated by the whole dynamics of change in the landscape – the reasons and the aesthetics. Turners engraving of Okehampton castle is the ultimate in picturesque romantic ‘views’ – a ruin perched jauntingly on a mound with a peasant populated hinter land – all castle, hunters and woodsmen. I wandered around that valley with my sketchbooks, on both riverbanks, around the ruins, up and down trying to find Turner’s point of view. I spoke to locals and heritage officials. The woods had since carpeted the gradients, Turner had moved the castle, rotated the mound. I found his angle from one side, his mound from another, his topography added later; he had reconstructed the place to suit his composition. I spread out a huge canvas under the canopy of oak forest on the valley sides and painted a glimpse of the castle; distant walls and turret just visible. The ‘recently’ grown trees filled my canvas, the mound was visible – the painting was about recolonized woodland, a vanished and fantasized view. Later after several sessions in the rain and sun I took my roll of linen back to the studio to be stretched and re-worked. As a young boy I would spend a lot of my out of school time wandering the countryside looking at the wildlife, exploring fields and hedges, climbing trees looking in ponds and rivers. Any objects I found were taken home – feathers, skulls, fossils, fruits to be drawn in a small diary / sketchbook. Alongside this observational drawing a written account – a description of the day’s discoveries and experiences were added – a sort of visual diary. This was very gratifying at the time but also a great keepsake. I think it was a formative, early stage in becoming the artist I am today – I still have times when I work in a similar way combining words and images.